Every Gift Counts, No Matter The Size! 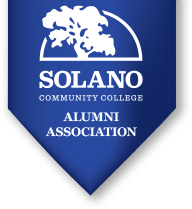 Through the power of many donors, contributions from alumni, friends, parents, faculty, staff and students are leveraged to make a huge impact on Solano Community College. Every donor and every dollar makes a difference. On the form below, you’ll find a number of options for giving. Donations to the Alumni Association help us carry out our mission of supporting alumni, students and the College, as are gifts directly to the SCC Educational Foundation. You may also direct your gift to the College via the Solano College Fund, or to an individual College Department or Program. Another option is supporting student scholarships. Include a note below your selected fund if you would like to direct your gift to a specific area. Please note that the SCC Educational Foundation is the fiscal sponsor of the Alumni Association, so your gifts will tax deductible. The Foundation is the primary 501(c)(3) non-profit supporting Solano Community College. Contact Curt Johnston, Executive Director at curt.johnston@solano.edu or (707) 864-7177 with any questions you may have. Thanks for your support of SCC. Go Falcons!